Bare minimum facilities. The internet was slow. The mattress was deformed. The room & washroom were small. No sightseeing places around the property either. Bus stop is near. Shops are available nearby. There's a heater and amenities in the room. The bed, the breakfast, the bedroom was hot enough cause it was cold, the owner was very nice because we had a problem with the late check in, so he waited for us till 22h50. The only good thing about the property was the location! There were a couple of shops around to pick bits up from and cafes where you can eat. The underground tube is also a short walk away which is really useful and quick. 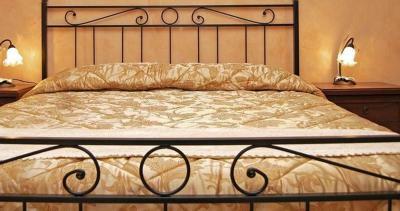 We were satisfied with B&B service. 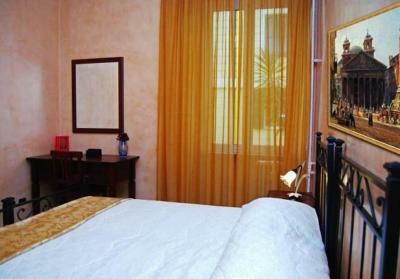 The owner was helpful, the room was clean and comfortable and the place was close to the metro line. the gentleman who had met us was very kind, he showed us basic. the room is satisfactory, I only recommend that you have roomy slippers if you are staying at this hotel. we had a shared bathroom, but we do not know if there was anyone else with whom we shared it all the time was clean and free when we needed it. The breakfast consists of croissants, cakes and juice and we liked it. The lolation is perfect, the metro is a 1 minute walk away and it is very easy to find the instructions that the host sent you earlier. Neighbors are not messy but you simply hear everything. For me it’s really hard to fall asleep with noise, but I fell asleep without any problems as we were very tired. 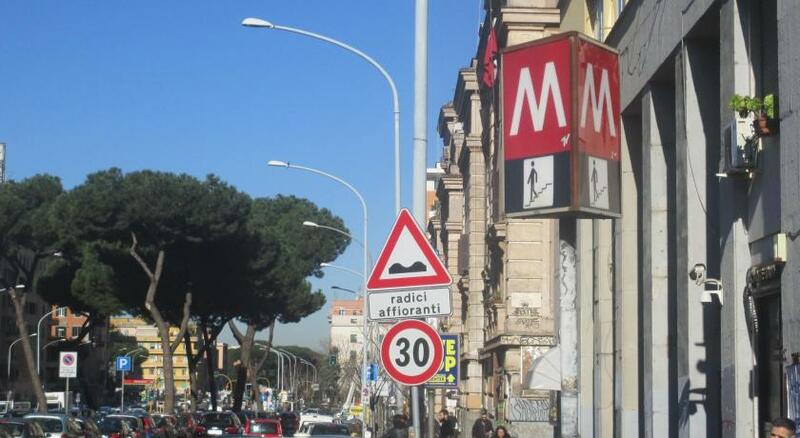 We lately arrived to Rome from problems with a bus from Florence. Special gratitude to the personnel, to settling us lately at night on Octobers, 4. 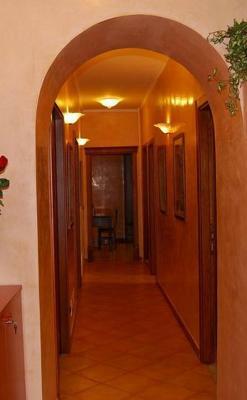 Excellent location of hostel, nеаr to a subway and market. Very comfortable and clean room. I like it that the train station was in the near. I like the hood we lived cause it was authentic. The climate was also nice. The location is very good. San Giovanni quartier is nice with shops, restaurants and 5 minutes walk from the metro station. Room was clean. 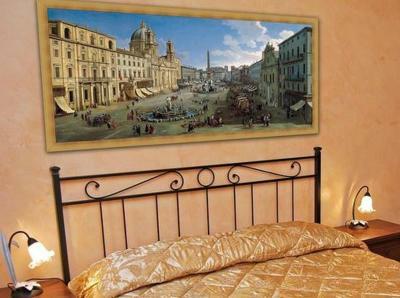 Price below the average in Rome. 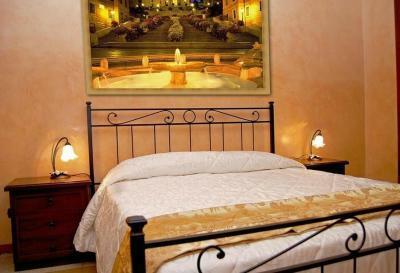 Offering rooms with an LCD TV and free Wi-Fi in public areas, B&B Maestoso is just 350 feet from the shops of Via Appia Nuova. 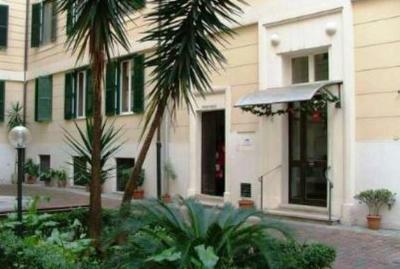 Tuscolana Train Station is a 10-minute walk away and provides links with Rome Fiumicino Airport. 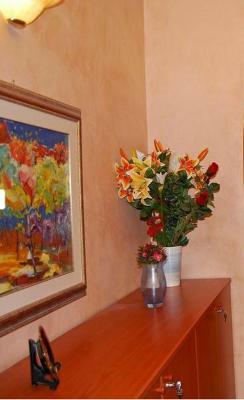 Rooms come with a fan, work desk and both tea and coffee making facilities, and either a private or a shared bathroom. The TV has cable channels and the décor is classic. The simple Italian breakfast consists of a basket with prepackaged juice and prepackaged croissant, delivered to your room. 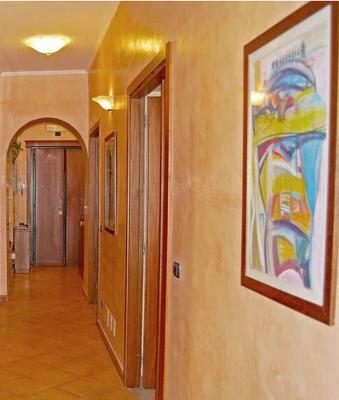 Maestoso B&B is 1,150 feet from Ponte Lungo Metro Station, linking with Termini Station in 5 minutes. 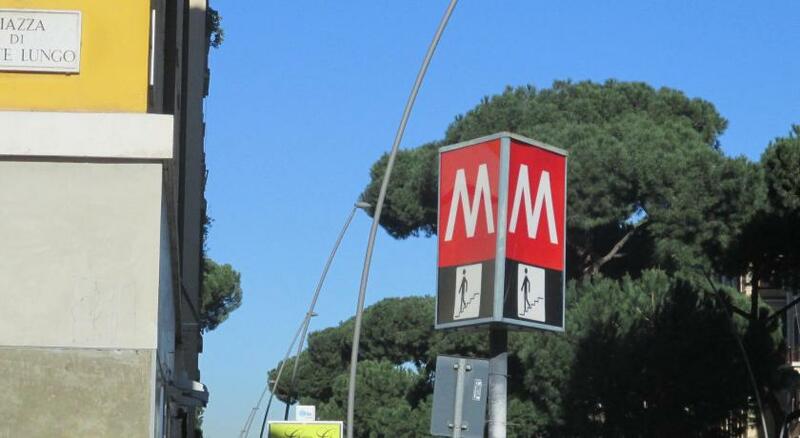 The Vatican City is a 20-minute metro ride away. 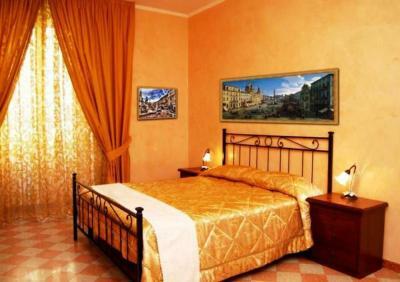 San Giovanni is a great choice for travelers interested in Roman Ruins, city walks and ancient landmarks. 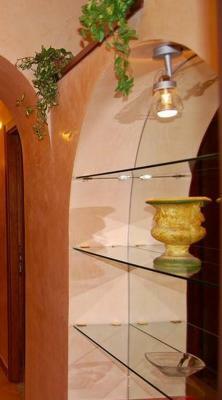 When would you like to stay at Maestoso? 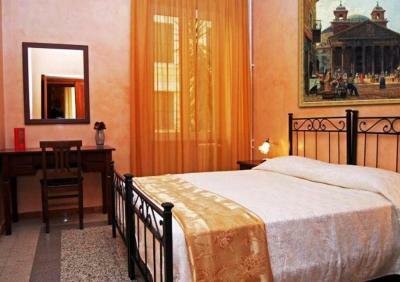 Classically decorated room that includes a fan, tea/coffee maker and flat-screen TV with cable channels. The bathroom is shared. 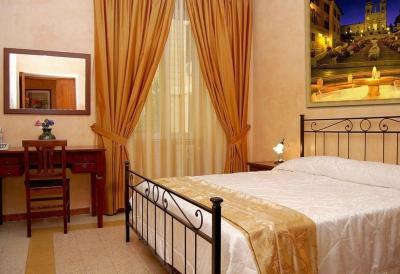 Air-conditioned, classically decorated room featuring a private bathroom with shower. Includes tea/coffee facilities and a flat-screen TV with cable. House Rules Maestoso takes special requests – add in the next step! ATM card Maestoso accepts these cards and reserves the right to temporarily hold an amount prior to arrival. Maestoso accepts these cards and reserves the right to temporarily hold an amount prior to arrival. Please inform Maestoso of your expected arrival time in advance. You can use the Special Requests box when booking, or contact the property directly using the contact details in your confirmation. The location was on a little dangerous neighbourhood, so we were a lil afraid to come back home late, but still, it was 3 mins from the metro station. 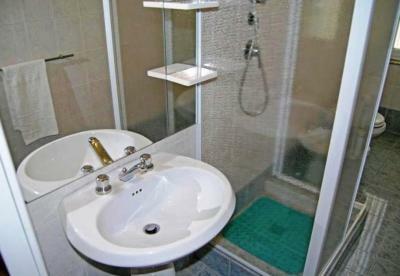 From the wc, the toilet didnt have a lid, there was no blowdryer and from the shower, the water came out to the floor. When we arrived there was nobody there so we had to call and ask for him to come to the property even though he had text us previously asking us to be between 14:00 - 14:30 as he had check ins at other properties so we had to wait for him to arrive. When we got into the room even though we had booked a private bathroom he only then told us that the bathroom was broken which we decided to just use the shared bathroom instead. The cubicle in the shared bathroom is tiny and the shower doesn’t stay on the stand so you had to hose yourself down which can prove difficult, especially if you’re around 6 ft or over like my boyfriend! After the first day of being out we came back to the room and the room absolutely stunk because of the bathroom, there must have been a blocked pipe so we made him aware of and his reply was ‘yeah I know, the bathroom is broken’. I appreciate he had told us in the beginning but he only said it was out of use not that there would be a rancid smell throughout our time there. Luckily we were out most of the time but it wasn’t nice to come back to. We liked everything. It’s great value for money! This property deserves higher rate! It was a bit difficult to get there via public transport. It is cheap and clean. Shower is not hanging. 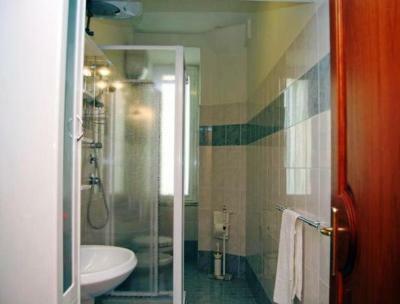 Only one water room (wc + shower) for 4 rooms, you may have to wait in the morning. not posmsible to pay by card. There was no real breakfast. No Coffee in the morning. You can't sleeped out cause the hotel employee waked u up. And we have to pay at beginning with cash and nobody told us that. We reserved and paid a room with private bathroom for 3 nights but we got the room without bathroom. Contacts with the host was difficult and finally we manage to switch to the correct room just for the last night. Lots of apologises but no money back. Breakfast consist of a packaged croissant and juice in the room. Not exactly the breakfast a guest expect in a b&b. Bathroom is old and shower is broken. I had some problem with the breakfast, because it was the same every morning. The keys that we got were not good for the doors and the gates. 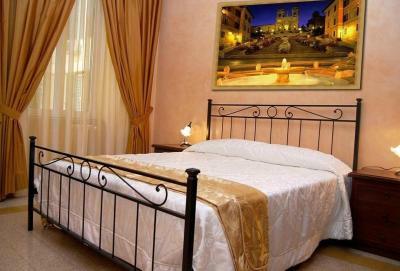 The owner/receptionist was never at the accomodation, so we couldn't get information in the case when we had problems. 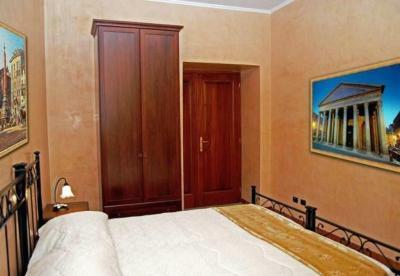 He promised us 10 Euros, because when we payed for the room, he couldn't give back cash, but he did not do it. 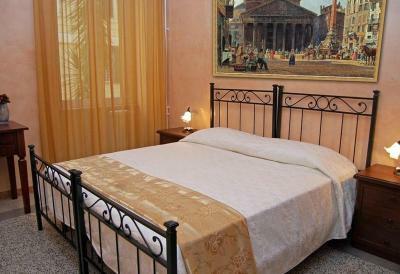 This accomodation was close to the metro line, city centre and the sights. Shower needs to be little bit bigger. There was not coffee with breakfast. 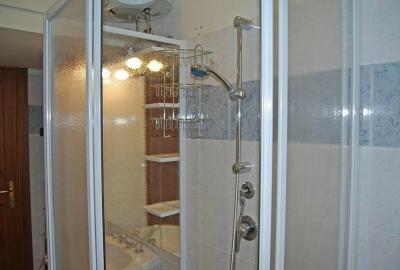 Very good location, near metro station. Nice room.